I wish I had known I could do this from my phone!! So fast and easy! Ordering the prints was so easy. Now I’ll find out the speed & quality! 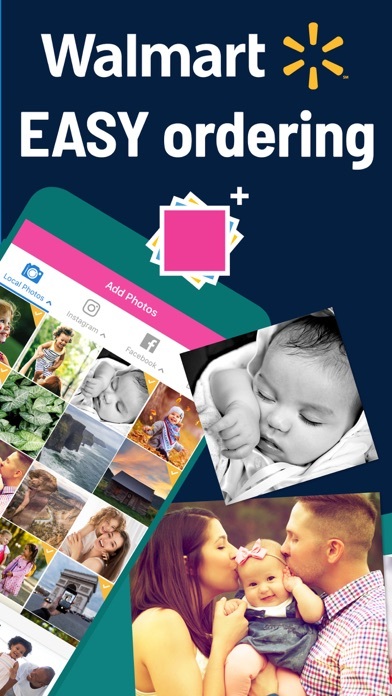 While it is easy to use and seems fluid to upload from your phone this app is slightly deceptive and also problematic. I uploaded over 500 pictures to print. 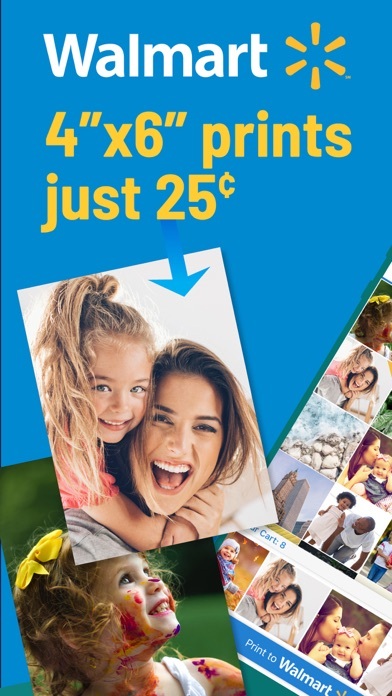 They do NOT give you the different printing options, the app automatically sends it to the one hour photo lab and charges well over the $0.35 a print. My order was over $125.00!! No option to use the 3-5 day delivery or anything. As for the deception, when you click “complete” thinking it will take you to an options screen to choose the timeframe or method of delivery it just sends the order and next thing you know you owe Walmart for all $125.00. No options to cancel your order or anything. 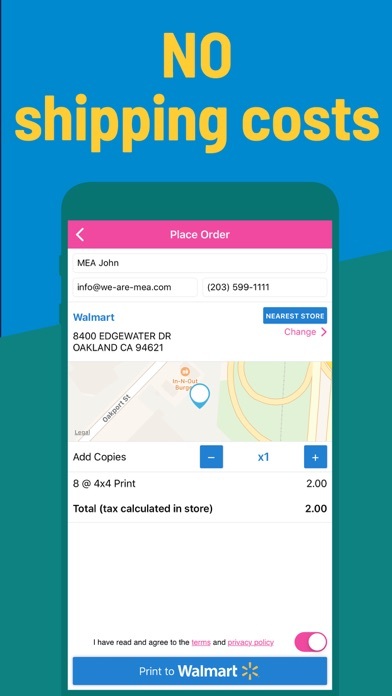 So I spent over and HOUR trying to ahold of someone in Walmart to cancel my order only to find out the app sent them the order in six different order numbers and batches! Ridiculous! 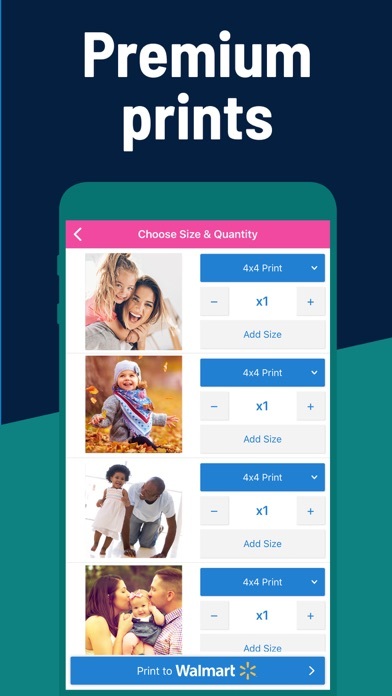 Thankfully Walmart deleted my order before any prints were made and I promptly deleted this app!!! Cora was wonderful so helpful!! 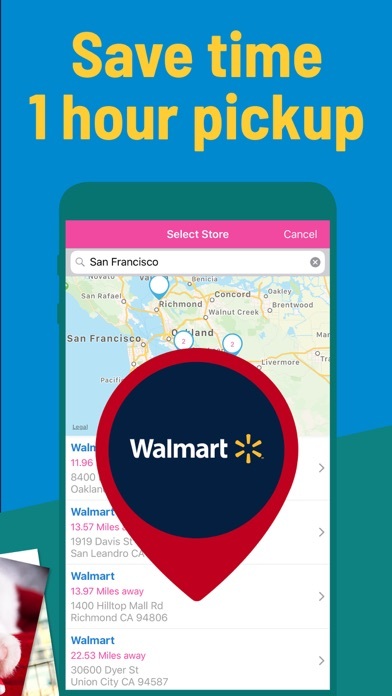 App was easy to use, but I stood in line at the electronics department at my local Walmart for over 45 minutes to pick them up, while people bought and activated new cell phones and such. I don’t have time for this. I would also like to mail these photos why does it not give me the option?